The Penguins were looking for a return to normalcy with Matt Murray back in net for Game 3, and the team was able to open up and dominate the gameplay much like they have in recent times. 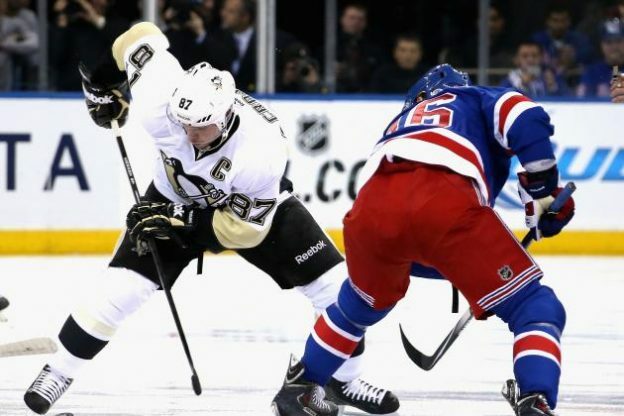 The Rangers were hoping to keep their momentum rolling and continue the surprising advantage they had owned in possession over the first two games, but the manner in which Pittsburgh flipped the switch has to be alarming for a New York team that cannot match the forward depth that the Pens can deploy. The Penguins did everything that was expected of them en route to what many were predicting would be a short series in their favor, and if they can keep playing at this level Game 4 becomes an absolute must win if the Rangers hope to remain in the conversation. Part of getting things back on track for the Rangers will be getting more production out of their bottom 6. Throughout the first 3 games of the series New York has been heavily reliant on their top two lines to generate offense, to the point where the bottom two lines have generated a combined 0 points so far in the series. One of the biggest disappointments for the Rangers has to be Eric Staal, who the team acquired at the trade deadline from the Hurricanes. Though Staal had been struggling for Carolina this year, the move has made things worse, and he's managed just 3 goals and 3 assists in 23 games with New York. While the Rangers had a big advantage in possession the first two games before watching Pittsburgh revert to form in Game 3, looking at the breakdown in the bottom 6 shows just how much of an issue it is for New York. Pittsburgh's conservative gameplan allowed the 3rd and 4th lines to skate to a combined +17 EV differential in Games 1 and 2, but after a Game 3 that saw a combined -30 for the Rangers' bottom 6 it's clear that they cannot matchup against a Penguins team operating at full efficiency. The saving grace for the Rangers has been and continues to be the play of Henrik Lundqvist in goal, and he nearly propelled New York to victory in Game 3 despite them being thoroughly outclassed by the Pittsburgh skaters. He now has a 0.931 SV% and 2.16 GAA in the series, with one of the few goals he has allowed scored moments after he took a Marc Staal stick to the eye. The Penguins played into the Rangers' hands with their gameplay in Games 1 and 2, and it remains to be seen if Lundqvist can hold up if the Pens are constantly driving play into the New York zone. Pittsburgh found success against him during the last few regular season games, scoring 10 goals over 8 periods Lundqvist appeared in during the teams' final 3 meetings, and if they're able to replicate that type of success New York is going to face a nearly impossible task to move on. - With Matt Murray returning from injury, the Penguins have assigned Tristan Jarry to Wilkes-Barre. - Matt Murray won his playoff debut in Game 3 while Jeff Zatkoff won his playoff debut in Game 1. The feat makes Pittsburgh the first team in NHL history to have two different goaltenders start and win their first career playoff game in the same series. - Matt Murray also was the youngest goaltender to ever start a playoff game for the Pittsburgh Penguins at 21 years, 330 days.